While moving out of your parents house before the age of twenty is not uncommon, it proves to be a bit more challenging when trying to balance that new independence with a college degree, two jobs, and your first child. However, Gerika is a proud, 25-year-old college graduate, employee, mother, and homeowner who lives in Waco, TX. As with all great successes in this world, Gerika had help along the way. Although at first, she moved from her mother’s house in Waco into an apartment of her own. During this period, she quickly found her time decreasing and expenses increasing. 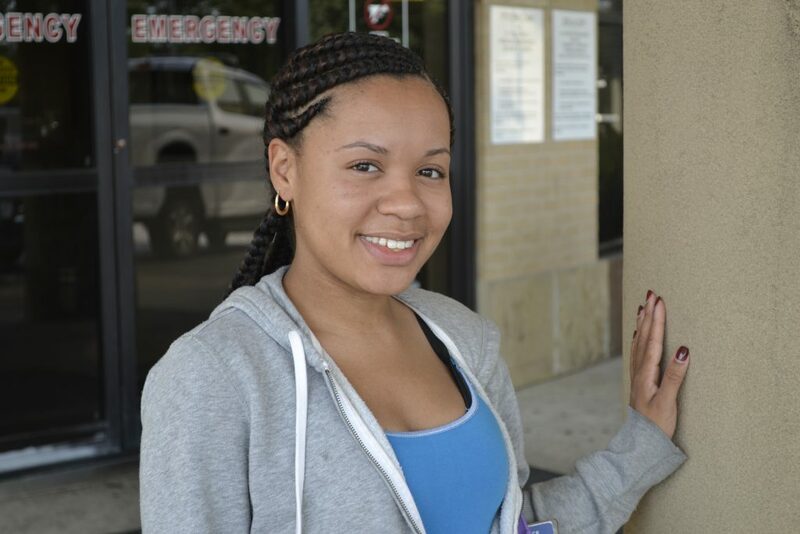 As an undergraduate student through Tarleton State University’s online program, an employee at Providence Hospial and Bush’s Chicken, a single mother, and an independent adult, Gerika had a full plate. Gerika’s mother, as any caring mother would, wanted to help her daughter as best as she could. Her mother believed there was an organization that would be able to help Gerika and encouraged her to give them a call. That organization was called “NeighborWorks Waco” and was the same team through which Gerika’s mother had purchased a house when Gerika was around 12 years old. It was not until her mother’s suggestion that she started making strides in her busy life. Gerika learned she could pay significantly less on her house mortgage, build equity, and start planting her roots in a good community for herself and her daughter. It has been two years since Gerika purchased her home in 2016 and she could not be more pleased. Looking back at her life, she believes she would still be in the “same predicament” if NeighborWorks Waco had not helped her find her footing. In a recent interview with Gerika, she told us that through their educational workshops for future homeowners, “NeighborWorks Waco helped [her] understand budgeting and homeownership.” Gerika said that they have “furthered [her] knowledge” on finances and real estate. She continued to tell us that “if you are proving that you’re determined to own a home, they will help you” and explained how NeighborWorks Waco helped cover her closing costs and acquire a grant for homeownership. At the end of her busy day, the house provides stability for her and her daughter. Her daughter attends school here in Waco and Gerika continues to work at Providence Hospital and Bush’s Chicken while pursuing her Master’s Degree in Athletic Training through the online program at the University of Central Missouri. While NeighborWorks Waco focuses on building stronger neighborhoods, a neighborhood is more than just the houses on each block. t provides a feeling of community, friendship, and even family. Through their neighborhood development efforts, NeighborWorks is building stronger families so that each member can firmly plant their roots to build a more sustainable future for the next generation, which can be seen through, Gerika’s mother, Gerika, and the new possibilities that are now available to Gerika’s daughter.